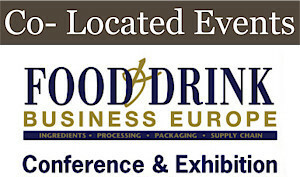 The largest gathering of food industry professionals on the island of Ireland. Everyone to the table. The Food Retail & Hospitality Expo, which is being held on September 5th at the Citywest Exhibition Centre, Dublin, will highlight the key trends and challenges facing food retailers, food service operators and hospitality providers while also showcasing the latest innovations, developments in best practice and new technological solutions available. It will address key issues such as attracting new customers; stafﬁng retention and recruitment; modernising premises and facilities; and anticipating changing consumer preferences. Rising consumer concerns about health and wellness, convenience and sustainability are continuing to shape the Irish food retail and hospitality markets. The food retail and hospitality industry is also having to adapt to the dramatic impact that digital technology is having on business while adjusting to the implications of Brexit and stafﬁng shortages. Ireland’s foodservice market grew by 6.1% in 2018 to reach a value of €8.2 billion, while the tourism and hospitality industry generated earnings of over €6 billion for the Irish economy. The Food Retail & Hospitality Show serves as an annual forum for food retailers, foodservice operators and hospitality providers seeking to improve their competitiveness and business performance to discuss issues of interest with their counterparts, while also being able to meet with suppliers of equipment, technology, food and services offering possible solutions.